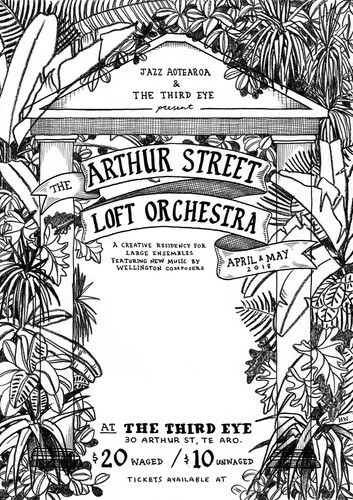 Jazz Aotearoa and The Third Eye present..
A creative residency for large ensembles featuring new music by Wellington composers. Cinematic themes and reverberant variations for ten-piece chamber jazz band. Contemporary jazz for 17 piece big band from the multi-award winning composer and friends. Ethiopian scales and electronic instruments clash in this long form jazz experiment. A chaotic 18-piece big band, augmented by a string section, combine classical, jazz and folk in a search for a expression of Aotearoa, NZ in the present.